The wonderful thing about holidays spent at home is the increased amount of time set aside to do what I love AND still spend time with the family. It's a win-win situation. Aside from sewing up a storm, I finished all my Christmas shopping, all Christmas decorations are up with the assistance of my two little elves, and the Thanksgiving meal was a success thanks to a local Chinese restaurant down the street. Yes, you read that correctly. Thanksgiving dinner in my house is Chinese takeout...I love me some vegetable fried rice. This tradition might look a bit different if we actually lived close to family (and turkey was on my list of things I love to eat), but that's just not the way it is. 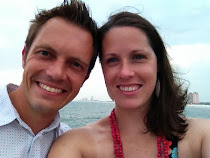 As a full-time working mother of 2 very spirited children, I choose the easy route of reducing stress and not cooking. Happy Thanksgiving! Lets get back to all that sewing I was able to accomplish. I finished two quilt tops and a quilt back. That's success if I do say so myself. The first quilt top I finished was a scrap busting project I was determined to finish. This quilt probably won't be touched again until after Christmas, but it was fun to put together. To see how I came up with the design, check out my previous post. I'm thinking a white and black print for the backing and a solid bold color for the binding. What do you think? The second quilt top I finished is a broken-chevron pattern. I'm not sure on the correct name of this pattern, but it was fairly easy to assemble. I've seen a few of these online and easily figured out the measurements myself. The back for this quilt top is finished as well, and I'm waiting until I have the back for my garden lattice quilt top finished before I throw myself a basting party in preparation for quilting. The quilting for this quilt and the garden lattice quilt has to be completed before December 19th, which is completely doable. Somewhere in there I also have to make a table runner and a decorative pillow for a silent auction. Wish me luck! So refreshing to hear your takeout thanksgiving tradition! Love both the tops, your scrap busting technique is on my to do list. Good luck getting it all done, but I think you've got this! Your Thanksgiving tradition sounds relaxing and fun. I hope you have a wonderful December! 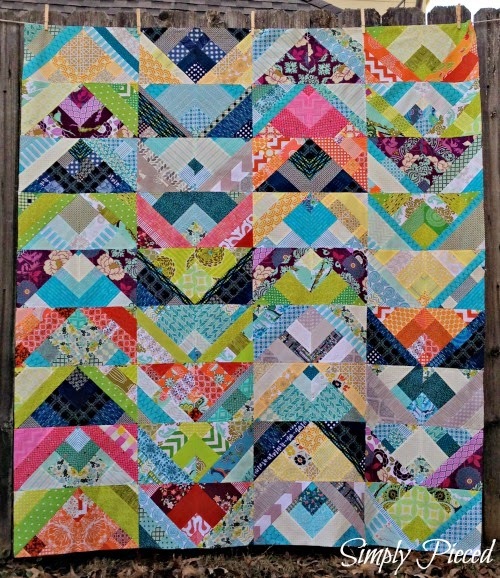 Absolutely love your scrappy flying geese-like quilt! The bright colors and scraps, it is just really fun. Might want to try your Chinese takeout idea next year. Occasionally, I have done lasagne dinner instead of the traditional Turkey Day meal. Like both quilts you are showing. Absolutely LOVE your Scrappy Flying Geese! I'm not sure it even needs a border unless you want to make it bigger? Black & white for backing will be perfect! 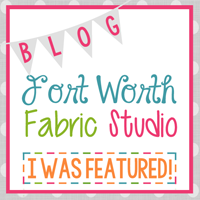 Great projects, but I really like your broken chevron! 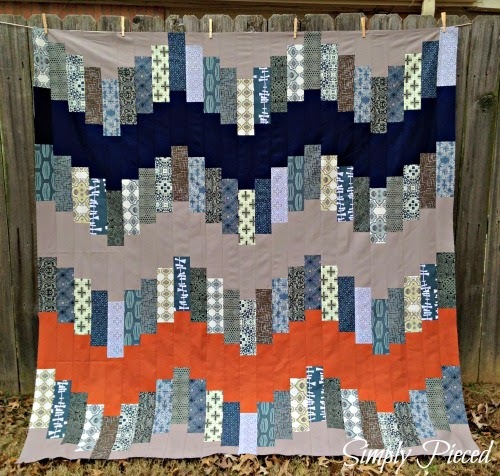 Love the scrappy flying geese quilt and the broken chevron quilt is just stunning! I love your broken chevron! Very interesting, but still "man appropriate". Can't wait to see how you quilt it up! 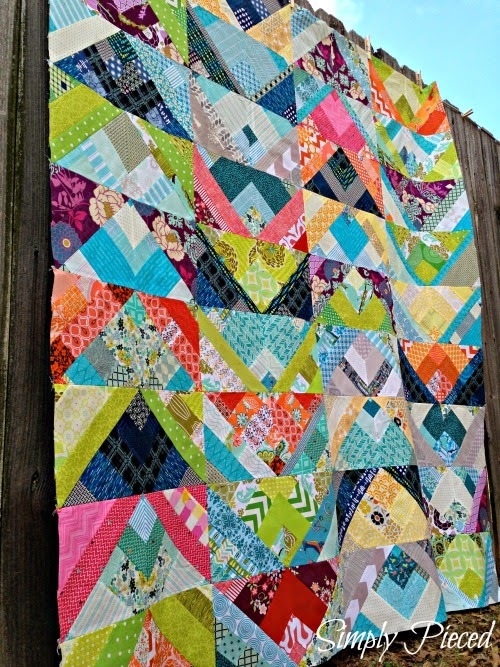 I love the scrappy project - it's so bright and happy. I think it's fine to make your own traditions; why should we all do things the same way? LOVE the scrap quilt. That looks like it was a lot of fun. Your thoughts on the back and binding seem spot on to me. Absolutely love it. What a productive holiday! I guess not cooking paid off for you. :) Yhat flying geese top is just outstanding - very Janet. wow you got a lot done. I think a bright solid binding would be perfect for the first one, and I love the colors of the second one. These look great! Good luck with all that you have to accomplish, you are off to a great start! wow, they are both amazing. going to check out your previous post now! Love that broken chevron! Take away seems very appropriate. I don't get the fuss over having to have mountains of traditional food.